Despite the detention of five suspects, speculation about who is responsible for the brutal assassination of Russia’s former deputy prime minister and prominent opposition politician Boris Nemtsov continues unabated. In the immediate aftermath of the murder, we were treated to a range of far-fetched theories as to the likely perpetrators and their motives. And despite incredulity from Nemtsov’s allies, the idea that the group of Chechens now facing charges committed the crime is just as likely as all the others flying around out there. The initial response from the Kremlin’s press outlets was that the attack on Nemtsov was an act of provocation aimed at destabilising the Russian political system. Pravda suggested the killing had been organised by the CIA in order to discredit Vladimir Putin. The TV station, Zvezdzva, which is run by the Ministry of Defence, claimed that Ukrainian ultra-nationalists were responsible. Meanwhile, Vladimir Markin, spokesman for the Russian Investigative Committee, speculated that Nemtsov may have been targeted by fellow opponents of Putin who were prepared to use him as a sacrifice in a false-flag operation. Only slightly less outlandish were suggestions that the murder might have been carried out by Islamic extremists angered at Nemtsov’s comments about the Charlie Hebdo killings. Among Nemtsov’s allies, his killing was seen as the logical outcome of a climate of nationalist, anti-Western fervour whipped up by the pro-Kremlin media. The aim is to mobilise support for Russia’s stance on the conflict in Ukraine and brand any critics of that action a traitor. Shortly before Nemtsov’s death, an anti-Maidan march, sanctioned and supported by the authorities, took place in Moscow, at which participants carried banners depicting Nemtsov and fellow opposition actors, such as Aleksei Navalny and Garry Kasparov, as dangerous fifth columnists. The fact that Nemtsov had been working on a report that revealed Russia’s long-term strategy to reclaim Crimea (a move since confirmed by Putin) and to support separatists in eastern Ukraine has also helped to fuel speculation. If not the Kremlin, runs the theory, then at least Kremlin-friendly agents must have been responsible for Nemtsov’s death. But if fingers were to be pointed in any particular direction, Russia’s troubled North Caucasus, and particularly the Chechen Republic, seemed as good a place to start as any. Of the five men under suspicion, Zaur Dadayev has the most interesting background. He served for ten years, and attained the status of deputy chief, in the infamous “North” police battalion in Chechnya. This is an interior ministry unit headed by relatives of Ramzan Kadyrov, the republic’s fiercely pro-Putin leader. Kadyrov is known to be close to Dadayev. Immediately after the latter’s arrest, the Chechen president took to Instagram to praise him as a “true Russian patriot” and a pious Muslim. Dadayev, he said, had been angered by anti-Islamic comments made in the wake of the Charlie Hebdo atrocity and retaliated by killing Nemtsov. Nemtsov’s associates were quick to express scepticism. Ilya Yashin, the former youth leader in the liberal Yabloko party and long-time protégé of Nemtsov, dismissed the suggestion of an Islamist motive as nonsensical. It suits the Kremlin and diverts attention away from Putin, he said, but has no credence. 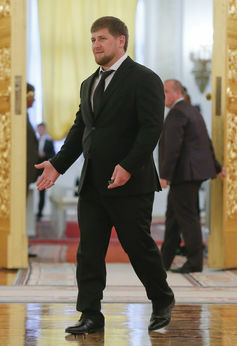 Conspiracy theories regarding Kadyrov gained traction when Putin awarded one of Russia’s highest awards, the Order of Honour, to Kadyrov on March 9 – less than two weeks after Nemtsov’s death. Discussion of Kadyrov reflects a power struggle taking place within Russia’s political elite, it is claimed. It is well known that high-ranking officials in the FSB are deeply uncomfortable with Kadyrov’s perceived growing influence. A report in the liberal newspaper, Novaya Gazeta suggested that the FSB had a reason to see Kadyrov’s powers diminished. The security agency’s reach in the North Caucasus has shrunk, while the Chechen leader’s control has increased. In a further twist, Dadayev, who had initially admitted to the killing, retracted his confession on March 11, claiming he had only confessed under duress. This is unlikely to be the last curious turn of events. We may never know who ordered the killing of Boris Nemtsov just as we still do not know who was behind the killing of opposition politicians such as Galina Staravoitova in 1998, Seregi Yushenkov and Yurii Shchekochikhin in 2003, and the investigative journalist, Anna Politkovskaya in 2006. All we do know is that the febrile and murky world of Russian politics is not getting any easier to decipher.